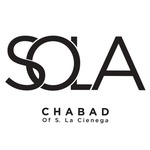 SOLA has launched our Annual Calendar Campaign. The beautiful color calendar for New Year 5779 corresponding to September 2018 – September 2019 will be distributed to homes and businesses throughout the city. 1. Advertise your business – click here. 2. Place your families occasions on date of occurrence, i.e. birthdays, anniversaries and Yartzeits/Nachala - click here. 3. Join the Communal Calendar Donor List wishing everyone a Shana Tova. Click here. Our deadline is July 10, 2018 as the calendar will be sent in time for the High Holidays!